The market is available to hire as a venue for events. It has already hosted a range of events including food festivals, fashion shoots, press conferences, live music gigs and art initiatives. The overall floor area spans some 4,029m2 (43,370 ft2), making the market one of the largest hireable venues in the city. With a capacity of 3,000 people it can easily cater for large events, but can be subdivided into smaller spaces if required. The building also carries an entertainment licence. For an application form and more information, please email us. Alternatively, you can apply to hire the venue online. St George's Market is available to hire Monday to Wednesday. Please note: these charges are for the hire of the building only. You may incur other charges like staff costs and electricity depending on your requirements. Our Markets Management Team will provide you with a full update of overall costs at the time of booking confirmation. 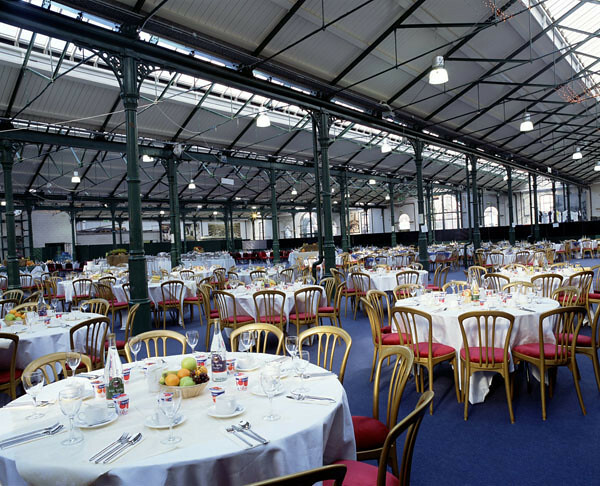 St George’s Market is an event location that is growing considerably in both interest and with bookings. Within the last few years, the number of events held in the venue has increased considerably. the first ever Curious Market Wedding event. You can keep up-to-date with all of the market's events by visiting the St George's Market events page. We’re committed to making events at St George’s inclusive, welcoming and accessible to all. Speak to a member for more information and advice. Our Flickr gallery shows photos of various events held at St George's Market.